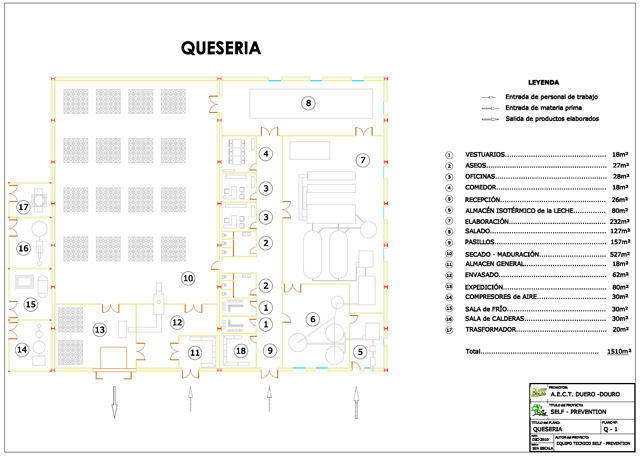 The goat cheese is a highly valued product, and a quality production can have a high market value.From the company that will implement the Self-Prevention project , will be built a total of 11 cheese factories distributed throughout the territory of the EGTC Duero-Douro.Of these, only two dairies produce exclusively tender cheese, with an annual production average of 760.000Kg. each.The other nine dairies will make semi-cured and cured cheese, with an a annual production verage of 398.000Kg each. 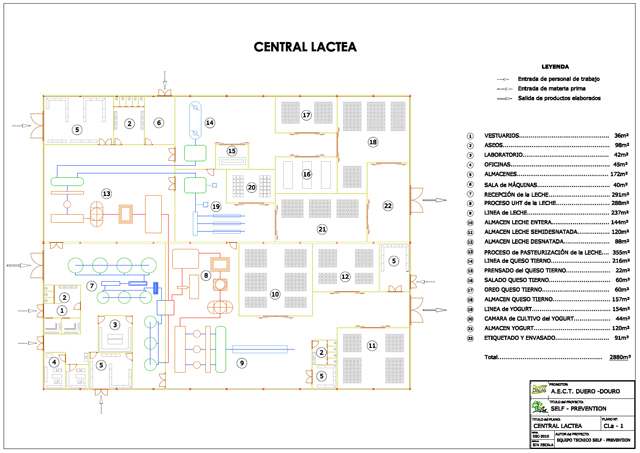 The curing process takes at least 60 days and the storage capacity of the drying room is 3 months of production.As human resources, each cheese factory requires 1 maintenance technician, 1 administrative, 1 technical cheese maker and 10 operators in dairy industries.To build each cheese factory we need a plot at minimum of 3.500m2, where the built area will be 1510 m2. One of the company's goals is to diversify the production, offering varied and innovative dairy products.In order to pursue this goal, will be built a dairy to produce milk, yogurt and fresh cheese. 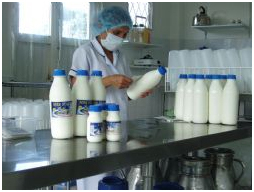 The processing capacity of the dairy industry is projected 70.000l/day 50.000l/day of which are designed to milk, yogurt and cheese 10.000l/day and tender cheese 10.000l/day.The annual production will be of 12.000.000l milk, 2.400.000kg yoghurt and 400.000kg of fresh cheese. This dairy will have 1central maintainer technician, 2 administratives, 15 operators and 1 team leader. To construct is necessary a plot with a minimum of 6.000m2 where the builted surface will be 2880 m2 will be.